So you want to be a minimalist, but you don’t want to give anything up. While others would probably make fun of your aspiration, I’m totally in agreement with you. There are a variety of ways to practice minimalism without getting rid of anything. (Check out the differences between downsizing and minimalism for a simpler life.) 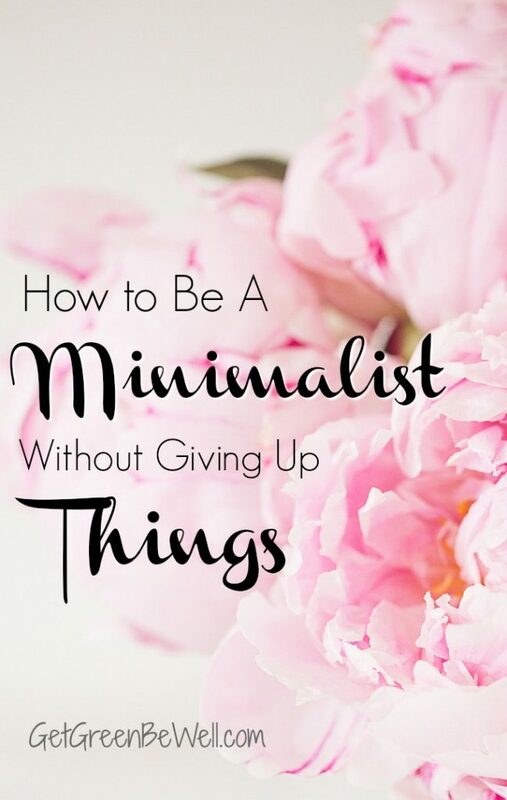 So I’m happy to share with you the secrets of how to become a minimalist without giving up things. Maybe you’ve seen my article on why I hate minimalism. Maybe you’ve seen why I hate extreme minimalism because of the heavy-handed approach that many minimalism evangelists want you to jump into. I’m the exact opposite. I’ve found this out along my own minimalism journey. I don’t have a problem with minimalism when done in beneficial ways. And I think that the most beneficial aspects of minimalism have nothing to do with giving up things. So if you feel like you are overwhelmed in life and you need a change, take heart. Minimalism – or at least trying to embrace minimalism – might be the answer for you. But let’s try these concepts out first before you start heading to a donation site with everything that you own. Because too much stuff is just a symptom of another bigger problem. Reducing or eliminating social media. Whoa! Whoa! You’re probably screaming. I can’t live without Facebook! How would I know what my friends and family are doing? Social media keeps us connected. It can also tear us apart and make us feel like less of a human being. Constantly scrolling through social media channels will leave you feeling like you need more. You need the latest makeup to keep up with the newest looks. Then you’ve got to shop the Like to Know it links that all of the fashion influencers post. You need the latest in home décor that is being styled in perfectly beautiful home pics for the holidays. You need the fancy vacations that people you don’t even know are taking. Your life will NEVER be good enough if you allow too much social media into your life. There will always be the pushing to buy more. Which, of course, doesn’t help you live happier with less. Or the opposite could happen. 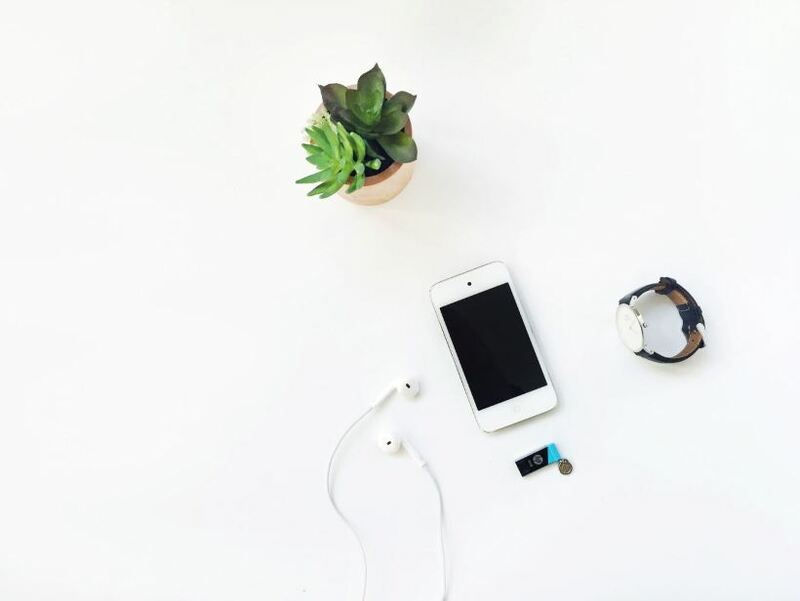 You follow every minimalist on social media. They post how perfect their life is with their capsule wardrobe. Then you beat yourself up because you own too much stuff. You have 34 items in your closet and not 33 items. How could you have been so stupid and let yourself own too much? Whenever I spend too much time on Facebook or Twitter or Instagram, I instantly feel worse about myself. The comparisons are too easy to make. And the amount of time that scrolling through social media takes from actually living my life is crazy. Ironic, since one of the hallmarks of minimalist living is that you own less stuff so you don’t have to spend as much time cleaning or taking care of stuff. Yet, somehow, spending hours on social media isn’t considered a part of the problem. If you are trying to be a minimalist so that you have more time and happiness in your life, then question whether an excessive use of social media could be just as much to blame for unhappiness as too many clothes or toys. Or whatever it is you feel you SHOULD get rid of. Wouldn’t it be great to declutter the toxic friends in your life? Or the influencers that are constantly pushing products in every post? Start purging social media and see how it makes you more happy. Be relentless. You can always go back and follow the people if you miss them. It’s free to find them again. Which is unlike giving away THINGS which will cost you money to replace if you miss them. I bet the less time you spend on social media, the less you’ll find yourself needing to shop and keep up with the Joneses. Which, of course, will help you with minimalist living. Just like with social media, too much technology use can impact your life just like owning too much stuff. 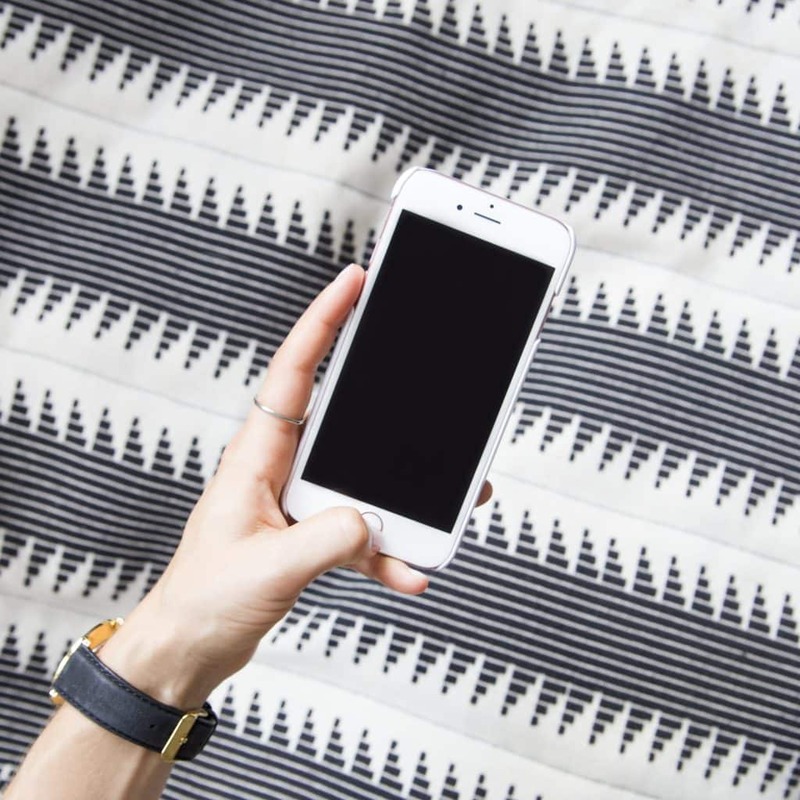 Even if you are not on social media, being connected to the latest gadgets all of the time can be just as detrimental to living a less-stressed, more happy life. Constantly being tied to a computer doesn’t do anything for your overall well being. What would your goal be with minimalism? 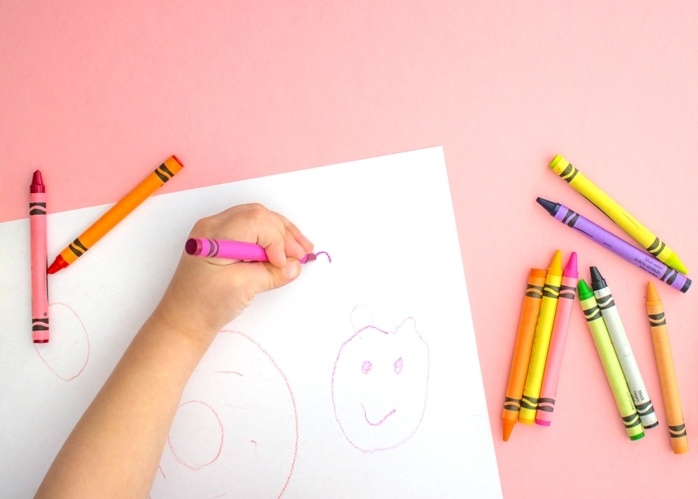 Are you thinking of minimalism to have more time, to reconnect more with your children, to have less stress in your life? If you are constantly tied to a gadget or computer, then when are you going to have more time? Where is the time coming from to devote to your children? How can you de-stress when always working or playing violent video games? Or watching doom and gloom news? And if you gain more time from getting rid of some of your stuff, are you just going to fill it up with being on the latest gadget? Or binging Netflix more? It’s a question that is too important to gloss over. You can get rid of all that you own if you feel it’s necessary. But if you can’t tear yourself away from your phone or laptop or gaming device, then are you really present in life? Can you really enjoy life’s little moments while holding onto bad habits? People have very big expectations. Everyone is looking for the quick and easy fix to everything. How to lose weight fast. Or get rich quick. Or find the answer to happiness with just one change to your life (like purging your closets and downsizing your home). 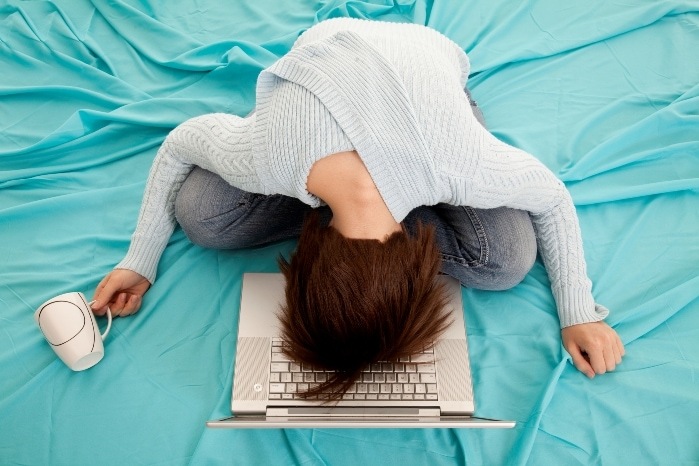 The majority of us are overworked, overstressed and overtired. We want the greatest results with the least amount of effort. The problem is, life doesn’t always work that way. In fact, it seldom does. Being realistic with your expectations is an important step in choosing wisely what actions that you should do. Don’t think that throwing away your things will automatically translate to happiness. Because a removal of “things” does nothing to change your expectations of life. Don’t think that you can continue doing everything exactly like you are in your life and expect any different results. If your schedule is too jam packed, then you need a change. If you’re unhealthy, depressed, living paycheck to paycheck, then it’s time for some deep soul searching. The answers might be related to too much stuff and your desire to own too much stuff. 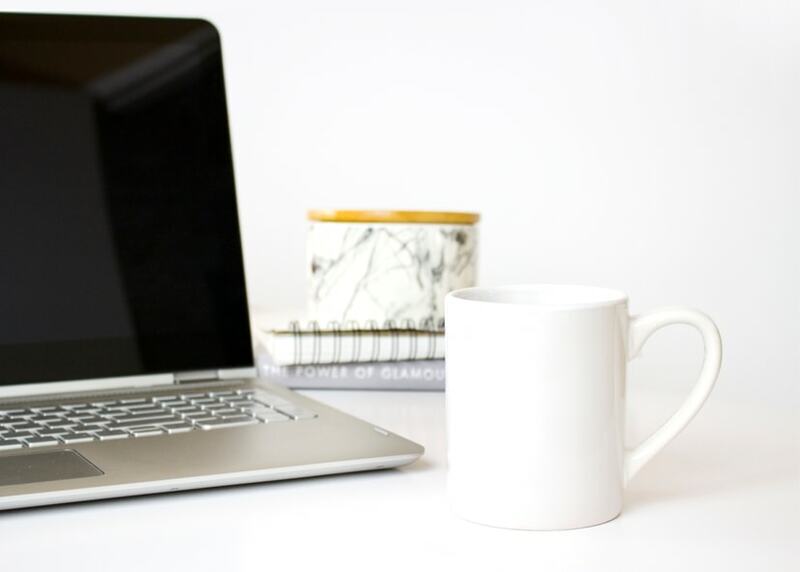 You’d be surprised at how much hate mail I’ve received after my article on why I hate minimalism. Seriously. 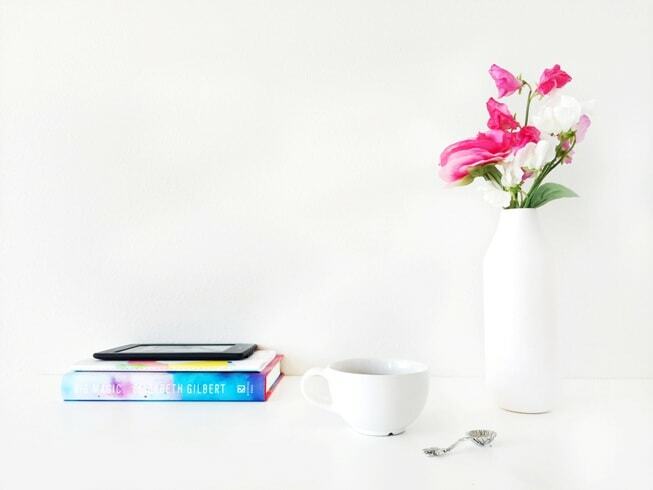 The cyber bullying, the judging, the rude comments – all because I questioned how minimalism is actually beneficial for a happy life. Now, keep in mind, these are the people that are all broadcasting to the world how happy and wonderful their life is as a minimalist. Yet the negativity they throw around like confetti to anyone who dares talk about living another lifestyle is shocking. I’ve deleted most of the comments that I received that had an overtone of condescending, anger and bitterness. Because the world is too negative right now with *really* important topics. And if you start publicly judging my opinions when you don’t even know my life, then there is no need to spread even more negativity in the world. I have been told that I am living my life wrong. That I made bad life decisions. Really. Complete strangers have found it necessary to judge my lifestyle having never met me. The topic of minimalism is THAT contentious. There are even some Facebook groups about minimalism that do nothing but judge and condemn others for their way of life. And apparently the members post articles that go against their way of thinking for other members to then go and comment on (trust me, I know, I’ve been on the receiving end many times). So the obvious question is, if you’re so freaking happy living with less, then why are you spewing so much hate? And why are you trolling the internet wasting time commenting on topics that make you angry? If you can’t even get rid of the heavy heart that you have, who cares about cleaning out your closet? There’s really no point in doing it. Minimalism can reduce stress. No doubt. Yet stress can be reduced with minimalist thinking. They are two different things. You can remove stuff in your life to get rid of one more thing to stress about. But still keep all of your other life issues. Which is no fun. You can reduce the amount of things you want to stress about. Even if they have nothing to do with owning stuff. Stuff that you hold and can see is like 15% of what actually can stress you out (that’s a guess on my part, but if you stop and really thing about it, you know it’s not THAT much compared to other problems). I don’t believe that God put us on this Earth to keep getting involved with people and situations that aren’t good for our greater good. This comes from a step of faith that we don’t have to be miserable. We do have control over our mindset. This is a great video to watch to put things into perspective. If you have focused on getting rid of the negativity and time-wasters in your life, do you really need to work so hard to get rid of things? If you become a minimalist without giving up things, then hopefully you’ll be happier ditching old mindsets and decluttering unhappiness. So if you’re not trying to buy happiness through owning more stuff, then you don’t’ really have to worry about consciously practicing minimalism, right? Chances are you’ll buy less clothes, less toys, less stuff because you’re happy right where you are. Then maybe you’ll take a look around at what you own and end up giving some of it away because it doesn’t make you happy. Minimalism is about living your life with intention. When you focus first on how to become a minimalist without giving up things, then everything else will probably fall into line. « ThredUP Review: Is the Online Consignment Store Worth It? Your writing is insightful. You show wisdom and balance in your thinking and have caused me to re-evaluate some of my behaviors. Moderation is never bad advice and I agree with your premise. Thank you. You show an insightful opinion prompting each of us to find our own happiness. “To each his own.” I agree that ridding ourselves of what holds us back is wise and is a personal choice. To criticize a person for that choice is just ignorant. This article was a little long for me, but I will read it later. You hit on the very thing that has been running through my mind lately. Why Why are we comparing ourselves to others. If our stuff makes us happy, who says we should have to part with it. I have long since pared down my social media, but pinterest remains my addiction – it’s how I got to this post. Please no one tell me to declutter my pinterest pages. Good grief people, be happy. if something isn’t creating happiness change it – otherwise quite with trying to fit into someone else’s mold. Thank you for a very insightful article!! Your approach looks at the whole picture, and the whole person…. I also think addressing your “why” before jumping in is a great idea – for me it was room in my home to create new memories, which I felt translated to room in my life to create new memories – your comments about social media and technology hit home, although I claim they are necessary for my business, how much of that will change…. And how much of it needs to change in order for there to be room to create new memories…. Minimalism could be the answer, now that I’ve also read your article!! Thanks, Sheryl! I understand about social media and business. Trust me……. It’s all about balance in our lives for where we are at any given moment. It’s never stagnant or the same for any moment of living. Do what you can when you can. Choose to be Happy. That’s it! Wow! I am 60 years old and have struggled my whole life with getting rid of things that I love or thinking I needed to. It has just about put me over the edge, regretting, thinking I have too many things,etc etc. I am not a hoarder either. You are the first person who has made sense of it all and I commend you. You are an inspiration and God sent to me! Thank you with all my heart! Cathryn! Thank you SO MUCH for writing! I’m glad that God sent you in my direction! Don’t do what you feel you shouldn’t. Be happy, enjoy life and know that your race isn’t the same as anyone else’s. If you like your stuff and it brings you happiness, then there is NO good reason to get rid of it. Have a great day and enjoy looking at your things 🙂 No regrets!!! Very thoughtful post – I agree so much with this! Getting rid of items isn’t usually the end goal, only a means. Being less burdened and more happy is the ultimate goal. I try to avoid excess stuff, but what’s more important to me is to minimize (can’t always eliminate) non-material things in my life that are negative or stressful or taking up a disproportionate amount of time and energy without being fulfilling. Thanks for giving me food for thought today. Marie, Very well said! Good luck on your journey of filling your time with joy rather than stress!